The word love is bandied about often, but frequently only used to describe the more mundane, without any real feeling behind it. You might say 'I love coffee' every single day but when was the last time you told a person that you loved them? La Redoute carried out a survey recently and found out that 22% of the UK has not said I love you in over a year and that only 30% of people say it daily, despite that more than half of us feel special when the words are uttered. These statistics surprised me until I tried to think of the last time I told someone that I loved them and I could not remember. I love many people in my life. My amazing mum who at 74 only looks 54 and acts much younger than her age. I can only hope to look as good as she does when I reach 74! My sister to whom I definitely do not say I love you enough too and my best friend, who is my rock and has been with me through thick and thin, through good times and bad. La Redoute was founded in France in 1922 and after coming to the UK in 1995, they discovered that the UK needs a little inspiration when it comes to the language of love. With this in mind they have created the video, complete with 'Mr La Redoute'. This video shows messages sent from family and partners to their loved ones, spoken in French by 'Mr La Redoute' and then the author comes out to translate the message. I loved seeing the reactions and responses of the people who received their messages. First, the slight bewilderment at being addressed by an attractive French man and then the delight when their love ones come out and gave the translation. After watching the video the first thing I did was ring my mum and tell her that I loved her. It is such a small sentence 'I love you' but it can have a tremendous impact and can really make somebody's day. "If you love someone, you say it, right then, out loud. 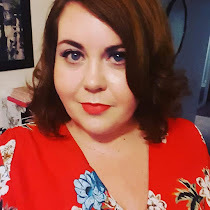 Otherwise, the moment just passes you by"
At the moment you can also fall in love with French style with La Redoute who are currently offering £30.00 off a £75.00 spend when you use code 8401.